In February and March 2015 Nil By Mouth worked alongside arts company Black Dingo Productions, producer Amy Gilmartin and emerging writing talent Jennifer Adam to facilitate a tour of the play ‘Warrior’ across high schools. The play focuses on the impact of cyber bigotry on a family unit after a teenager posts sectarian content on the internet. ‘Warrior’ was performed during the Edinburgh festival in 2014. However, it had never been performed in schools or seen by large audiences. Given NBM are constantly developing our social media sessions and our extensive network of school contacts we decided to marry the play with a hard hitting Nil by Mouth presentation on the consequences of cyber bigotry. NBM first commissioned research into online bigotry in 2005 and it has become an increasing problem over the past decade. Posting sectarian and offensive content on the internet now carries a maximum sentence of five years in prison in Scotland and in recent years there have been a number of high profile cases involving footballers and celebrities. In May 2014 a survey of 1,300 young adults, conducted by marketing agency Digital Clarity, found that 16% of the 18 to 25 year olds admitted to spending over 15 hours a day online. NBM have been working with a number of offenders, victims and families over the past few years and what became very clear is that many people do not think there are any consequences for abusing people online. We wanted to use these performances to highlight to teenagers that there are very real consequences for posting sectarian material on the internet. We selected three schools in North Ayrshire, Stirling and Broxburn for performances and more than 600 senior pupils saw the play followed by a NBM input teasing out the issues which arose. Indeed in Broxburn Academy the school gave over an entire afternoon’s classes the following day to focus on the issues thrown up by the play led by a mixture of teaching and NBM staff. 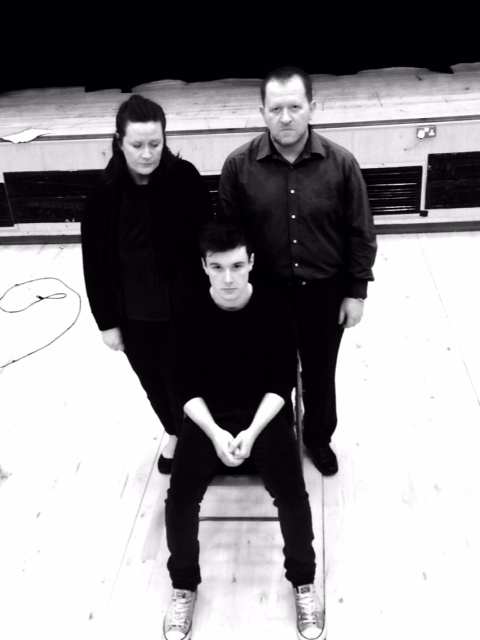 Revealingly 84% of pupils surveyed after the play said they had seen sectarian content posted on the internet before. Many pupils reported the play and presentation package had made them reconsider their online habits and raised awareness of the dangers of posting offensive material.